Hedgebrook Farm is a working dairy farm which is home to Jersey cows, donkeys, llamas, peacocks, chickens, ducks, a miniature donkey, cats, and many other animals. In operation since 1906, the farm began as an apple orchard with a dairy business added in the 1940's. Our milking parlour is the only remaining glass-tubed milking machine in Virginia. Today, the farm focuses on a raw milk cow boarding program, The Herds Inn vacation home, grass-fed hormone-free meats, and seasonal educational tours. 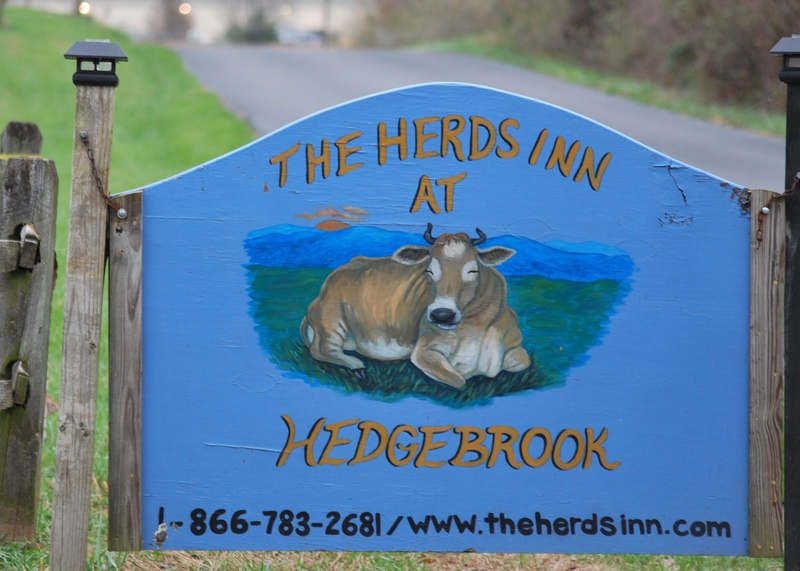 The Herds Inn at Hedgebrook Farm is located in Winchester, Virginia at the top of the Shenandoah Valley. This is the perfect place for a relaxing and peaceful experience with nature. The Herds Inn is a rustic log home constructed from two restored 1800's tobacco barns combined with hand-hewn logs. Cypress wood was extracted from old vinegar vats used at National Fruit's apple processing plant and recycled to make the hardwood floors. Almost every piece has a unique story that creates an authentic and cozy home away from home. With scenic views of the Blue Ridge Mountains to the east and beautiful sunsets to the west, the beauty and magic of nature will surround you. For more information and to book your stay, search for The Herds Inn at Hedgebrook Farm on Airbnb.